“Christmas is a time of miracles.” Max Gruber, Die Hard. “Due to circumstances beyond our control” are words you would never expect to hear from a member of Evil UnLtd. Circumstances are always under their control, it goes without saying. However, here at Galaxy Six we are, as it turns out, prone to delays and hiccups. And while Christmas may be a time of miracles – for villains and common folk alike – we have to fess up and admit we were entirely incapable of pulling a miracle out of the bag and delivering Evil UnLtd Vol 2 in time for its December release as originally intended. All it takes for Evil to succeed is for good men to do nothing and some good people just didn’t do enough, frankly. Alas, it’s been held up in editing. The sad fact of the matter is, Christmas is a time of festivities and insufferable goodwill to all men, which is just designed to hamper the efforts of evil organisations everywhere. Our only consolation will be watching the globe drown under its annual tide of rampant commercialism and after-dinner immobility. We will be punishing our editorial team by forcing them to work over the holiday period. 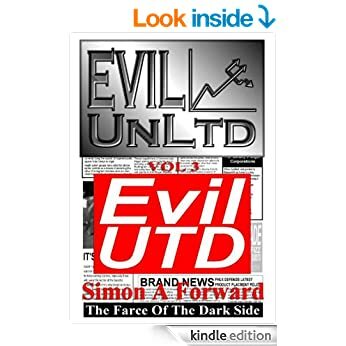 Our revised aim will be to bring Evil UnLtd Vol 2: From Evil With Love to you – making it simultaneously available in print and various ebook formats (Kindle, Nook and Cranny) – by 4th Feb 2012. Watch this space for further updates. 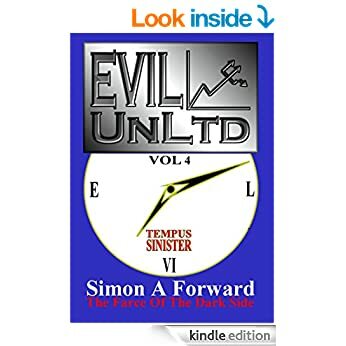 The good news is that work has already commenced on Evil UnLtd Vol 3 and no stone will be left unturned – nor indeed left unthrown at low-grade workers – in our efforts to deliver the third book in this series by Christmas 2012. Naturally, we appreciate that this will come as a great disappointment, only likely to be matched on Christmas Day when you open up your presents to find a pack of batteries marked “Socks not included”. But, please bear with us, have heart and we will endeavour to make both books worth the wait. *This comment is the work of the author and is not in any way representative of the views of Dexter Snide or the members of Evil UnLtd.